You want to feel like yourself when speaking English. You're comfortable with your English skills - except for how you sound when speaking. You know that you need to express yourself as clearly as your American colleagues and friends do. You would love to participate confidently in small talk, ask questions and give answers that create conversations, and sound more professional in discussions. Make sure your voice and your meaning are clear. You'll be easy to understand when you master the natural rhythm of English through word and sentence stress. Express how you feel through your tone. It's not just about your words. Learn how to change your pitch by using different intonation patterns. 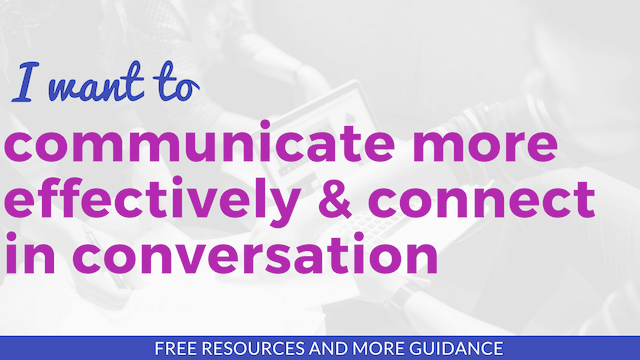 Learn how to keep conversations going. Start with this small talk guide and understand how to ask better questions and connect in conversations. This is what native speakers do. And you can do it too. Where should we get started first?